Black Friday gives a start to a real shopping marathon! But, if on Black Friday consumers empty the physical shops, then on Monday they continue making purchases online from their offices. Cyber Monday is one of the days shoppers are waiting for so much because they can purchase items at great discounts in online stores. 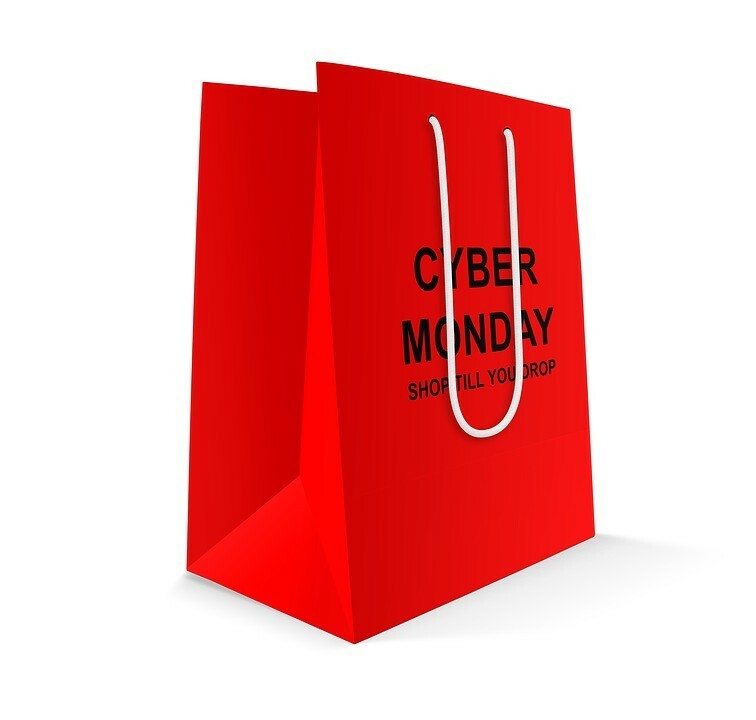 By the way, the term “Cyber Monday” was made by Shop.org. In 2004 they analyzed marketing researches which have shown that 77% of online retailers informed about significant sales growth on Monday after Thanksgiving. Thus, Cyber Monday is the day of the most active Internet shopping in a year and to get the maximum advantage of it, use top tips from Personal Money Service! Such days like Black Friday and Cyber Monday often make people buy needless things because consumers are too excited by impressive discounts so they don’t think if what they buy is what they really need. A few days after Black Friday you can see a chain of people who want to return what they have bought on impulse. To shop successfully on Cyber Monday, it’s necessary to know what you want and make a shopping list ahead. It will allow you to skip unnecessary purchases so you’ll save your time and money. Understanding of how much you can afford to spend is highly important for your financial health. If you rely on credit products like short term loans online, credit cards and etc., use them responsibly and set spending limits for yourself. However, it’s better to rely on your own money instead of getting in debt for Cyber Monday shopping. It should not make you unable to pay your bills and cover other essential expenses. Remember, the holiday season has just started so you’ll need funds for other needs. Make a price comparison at least a week before Cyber Monday. Don’t forget to install helpful mobile apps to compare prices easily! Pay attention at each site’s shipping policy and choose deals with free shipping. However, avoid deals where you should spend $200 to take advantage of free shipping because there’s a risk to buy needless things. Use sites that will allow you to buy numerous items for a good price and to benefit from free shipping: WalMart, Target, Costco are stores you must pay attention to. Also don’t forget that there can be hidden costs like taxes and handling expenses. Electronics. Experts say that Monday is the best day of the week to buy a computer. Also look for TVs, Apple merchandise, video games. Appliances. Cyber Monday is a great time to buy home appliances like blenders, steam cookers, ovens, washing machines and etc. Toys. Be sure, you will find electronic and fad toys at great discounts! Try to buy such items early as they sell out fast. Travel. Don’t miss an opportunity to find impressive deals on vacation packages, hotels, and tickets! This advice works not only with Black Friday but with Cyber Monday also! If you awake at midnight, you can take advantage of “doorbuster deals” – limited time offers. Also, you have a better choice of items, nothing is sold out yet because Cyber Monday has just started! However, keep in mind that limited time offers have a psychological effect and often make consumers purchase needless things. That’s why before buying something it’s better to ask yourself if you really need it or you want to buy just because this item is on sale. Keep all the receipts to be able to fix any possible problems with your purchases. For example, if your purchase is damaged or it’s not what you want, you can exchange or return it if you prove the purchase with a receipt.